Your graduation is a celebration of all that you've achieved in your university career. Here is everything you need to know to make your graduation a truly memorable experience. 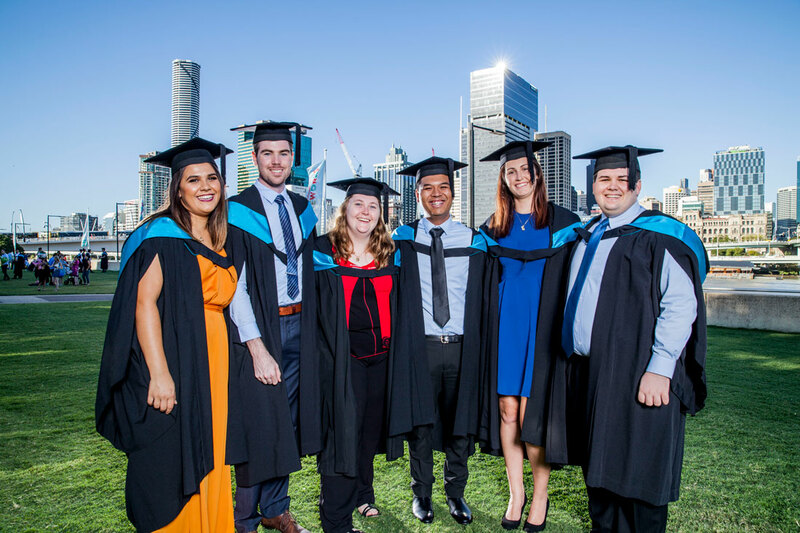 Graduation ceremonies are conducted in July and December each year at Queensland Performing Arts Centre (QPAC) and celebrate the achievements of our students and the wider community. Our graduation ceremonies are live streamed, with the video beginning 10 minutes prior to the ceremony start time. We are unable to provide recordings of the ceremonies for purchase due to privacy and copyright. Graduands are requested to arrive 2 hours prior to the ceremony start time, ensuring there is adequate time for registration, robing and graduand briefing. Guests are invited to be seated about 30 minutes before the ceremony start time. Seating is allocated by the venue, please advise QPAC regarding any accessibility requirements in advance. At the start of the ceremony, graduands and guests are asked to stand while the Academic Procession enters the hall. All then remain standing until the Chancellor is seated. The Chairperson opens the ceremony, then the Chancellor gives a short welcome address. Graduands are then presented to the Chancellor. After all graduands have been presented, the Chairperson invites the Guest Speaker to give the occasional address, then the Student Representative. At the conclusion of the speeches, graduates and guests are asked to stand for the departure of the Academic Procession. The graduation ceremony takes approximately 90 minutes, depending on the number of graduands attending. 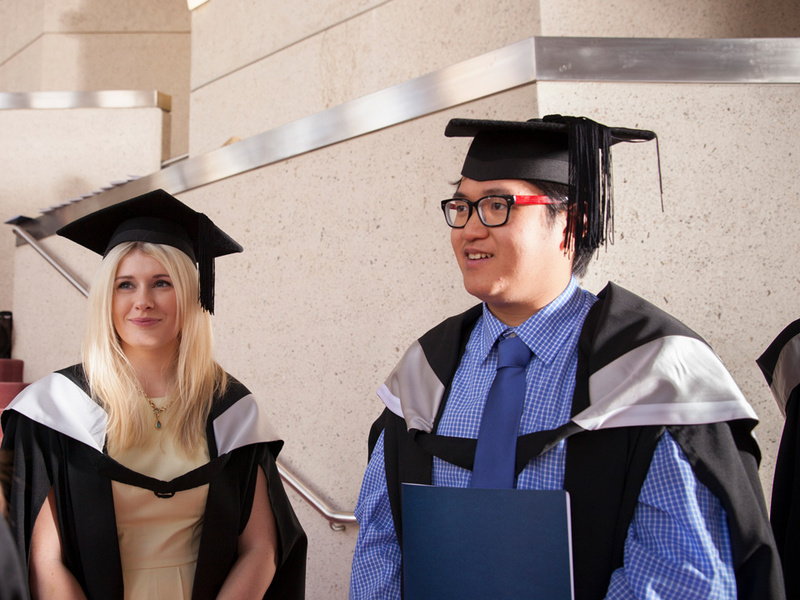 We have comprehensive information about graduating including registration, important dates and academic dress for current students and students who have already received their parchment. If you're having trouble connecting with your student name and password, get help logging in. All Brisbane graduation ceremonies for July and December are held in the Concert Hall at the Queensland Performing Arts Centre. The Concert Hall is located on the corner of Grey and Melbourne Streets, South Bank. The venue is close to public transport and has several car parking options. Do I have guest tickets? Tickets can be purchased from QTIX, and booking fees may apply. A ticket limit will be applied per graduand to ensure all have the opportunity for family and friends to attend the graduation ceremony. Ticket limits will be confirmed by QTIX when tickets are purchased. For ticket prices, contact QTIX. QPAC provide a range of services, facilities and programs to enable all visitors to attend events. With advance notice, QPAC can accommodate a range of individual needs, and we strongly encourage visitors to notify staff or any individual needs at the time of booking. For accessibility information, contact QPAC. Our March and September Conferrals rounds are for students who expect to complete their course and who meet graduation eligibility criteria after one graduation ceremony round and prior to the next graduation ceremony round. This may include students who complete summer semester, deferred and/or supplementary assessment and who missed the cut off for July or December ceremonies. Degrees will be conferred to these students and parchments mailed with an invitation to attend the July or December round of ceremonies. If you have more questions, you can email us or find answers at AskQUT.